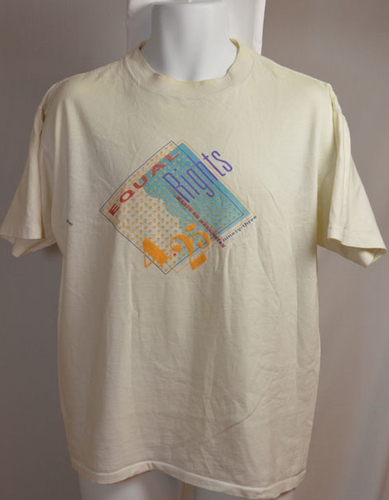 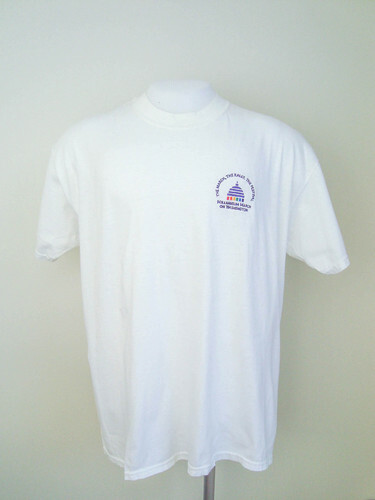 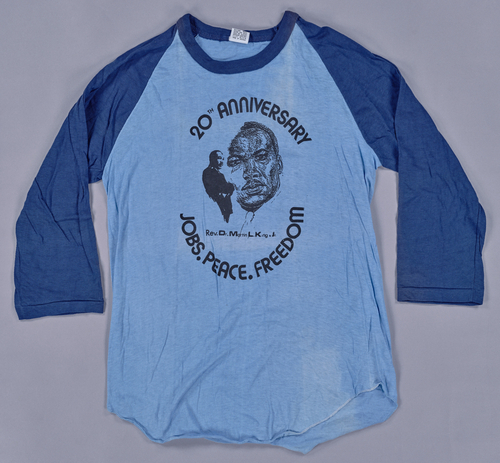 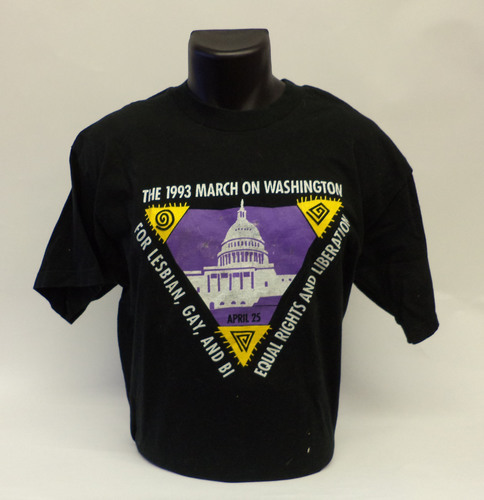 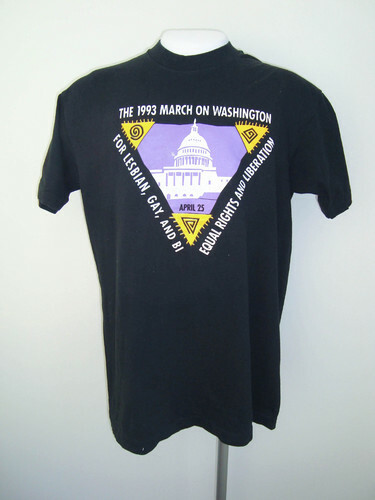 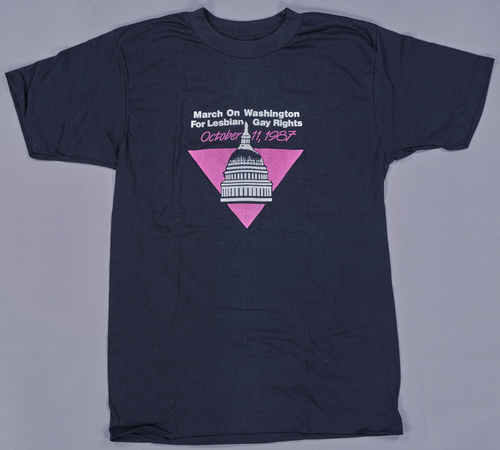 Black shirt with white lettering; purple triangle with image of Washington D.C. 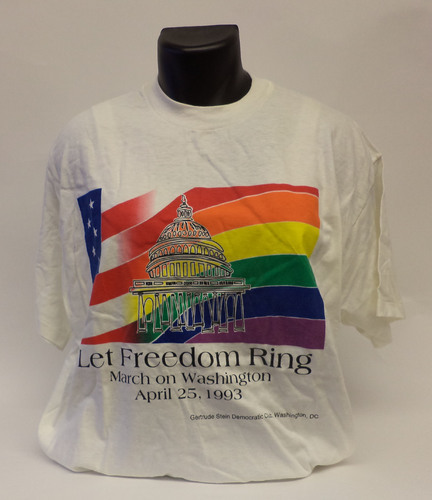 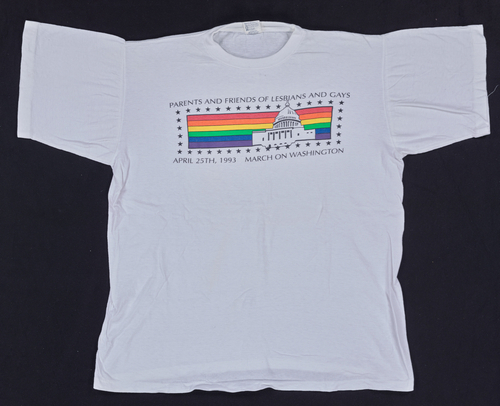 Description: White shirt with purple stitching; rainbow image of Washington D.C.
Front: "Staff. 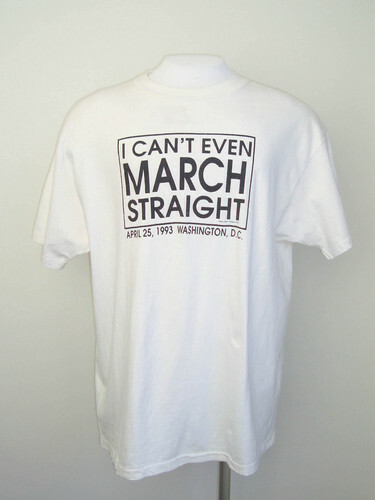 National March on Washington for Lesbian & Gay Rights. 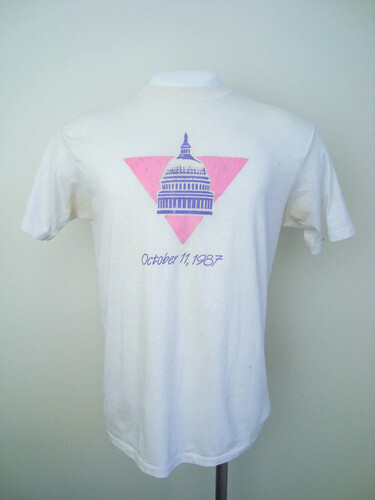 October 11, 1987. 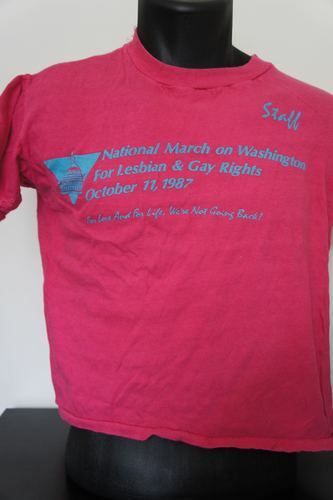 For Love and For Life, We're Not Going Back!" 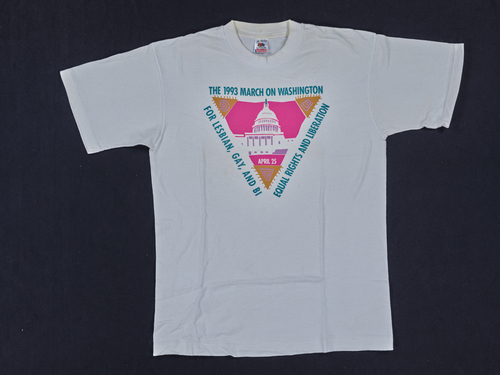 Back: "Washington, New York, Denver, Tampa. 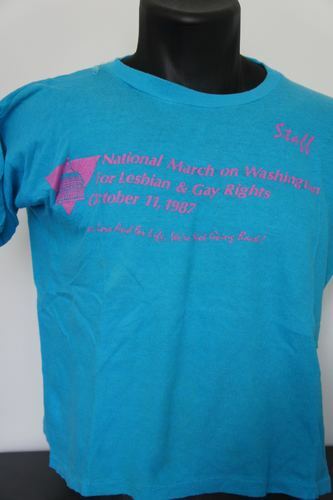 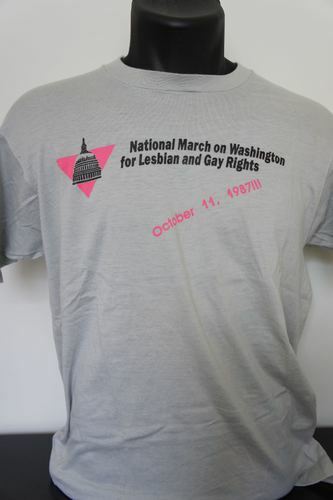 Tracks"
"National March on Washington for Lesbian and Gay Rights October 11, 1987!!!" 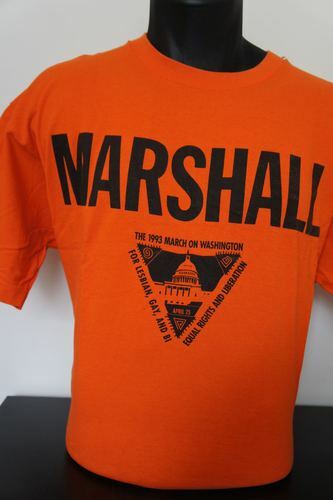 Front: "Marshall. 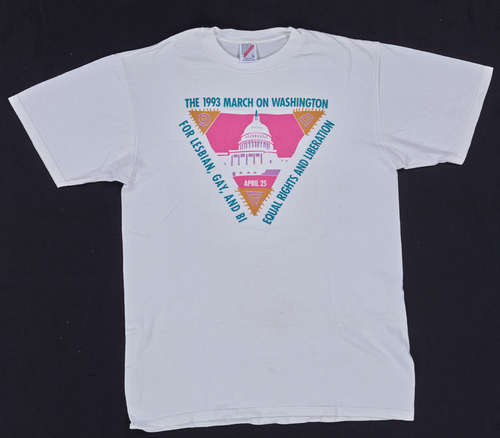 The 1993 March on Washington. 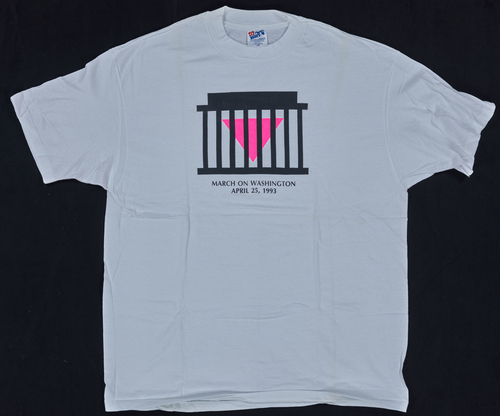 April 25. 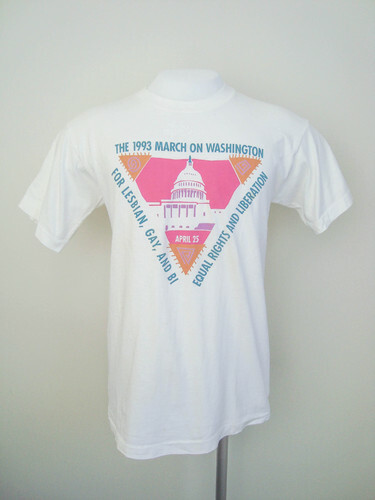 For Lesbian, Gay, and Bi Equal Rights and Liberation"
"National March on Washington for Lesbian and Gay Rights. 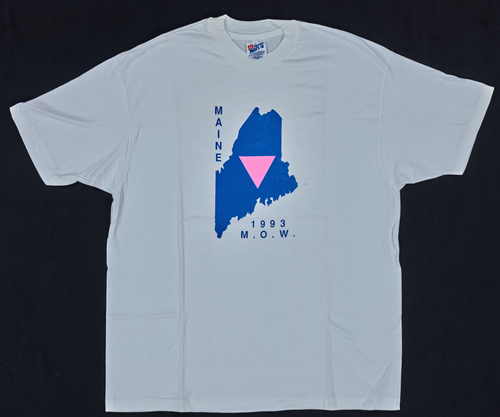 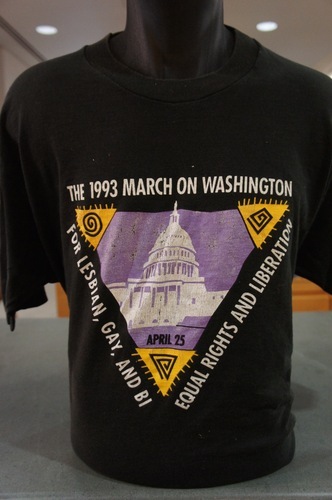 October 11, 1987"
"MARCH ON WASHINGTON APRIL 25, 1993 march=action=life=power=freedom=rings=4 1 & ALL"
"MAINE 1993 M. O. W. "
"MARCH ON WASHINGTON APRIL 25, 1993"
"THE 1993 MARCH ON WASHINGTON FOR LESBIAN, GAY, AND BIEQUAL RIGHTS AND LIBERATION APRIL 25"
"MAINE SHARES THE DREAM MARCH ON WASHINGTON AUG 27, 1983. 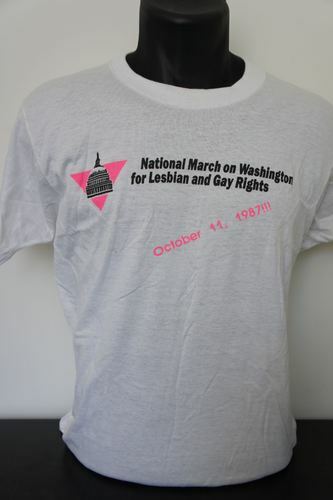 JOBS, PEACE, FREEDOM "
"March on Washington for Lesbian Gay Rights October 11, 1987"
"PARENTS AND FRIENDS OF LESBIANS AND GAYS APRIL 25TH, 1993 MARCH ON WASHINGTON"
"THE 1993 MARCH ON WASHINGTON FOR LESBIAN, GAY, AND BI EQUAL RIGHTS AND LIBERATION APRIL 25"
Black and pink text on white. 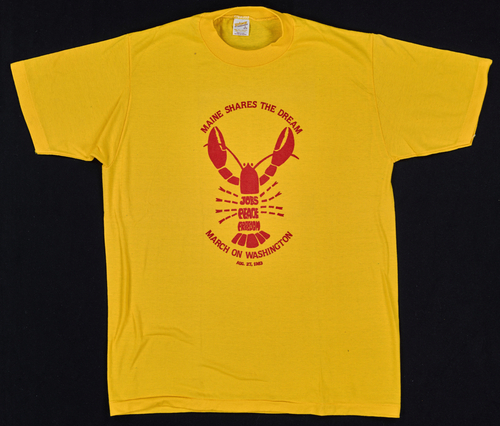 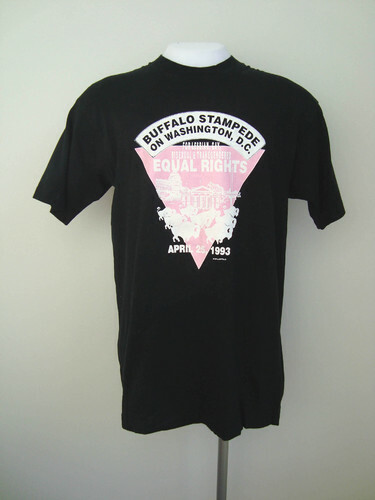 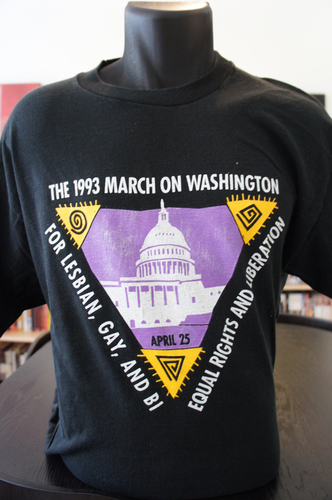 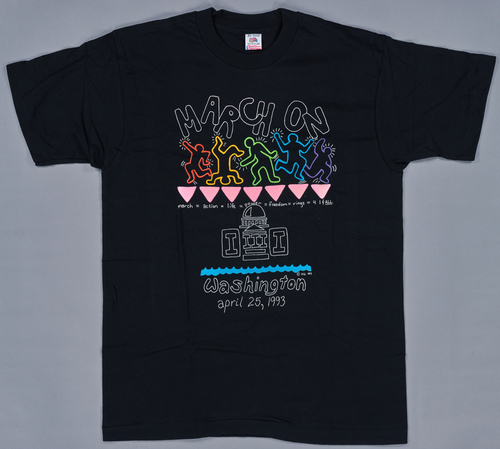 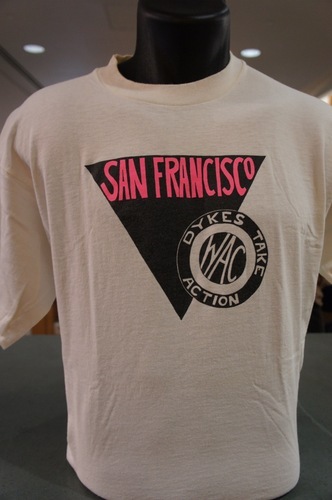 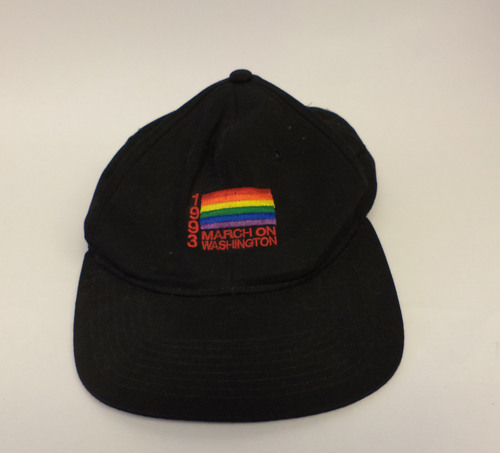 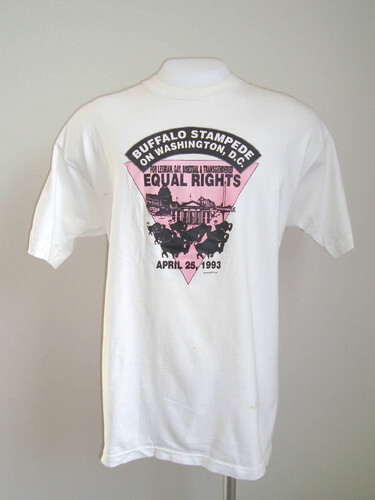 Back: "Dykes Do D.C. in '93"
"The 1993 March on Washington for Lesbian, Gay, and Bi Equal Rights and Liberation. 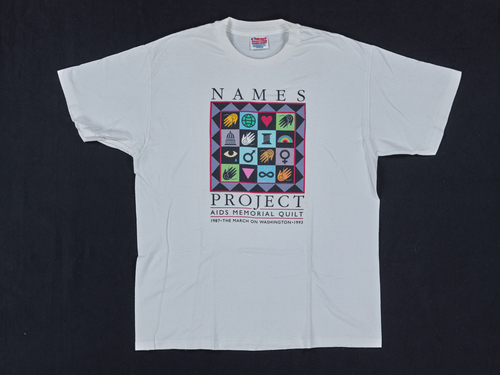 April 25"
"NGLTF. 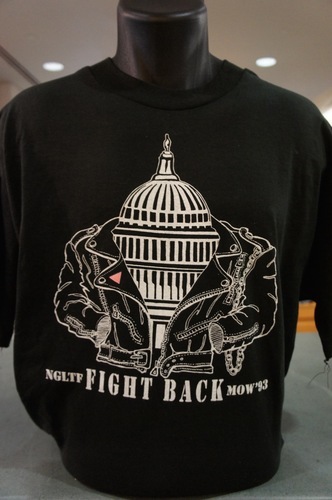 Fight Back. 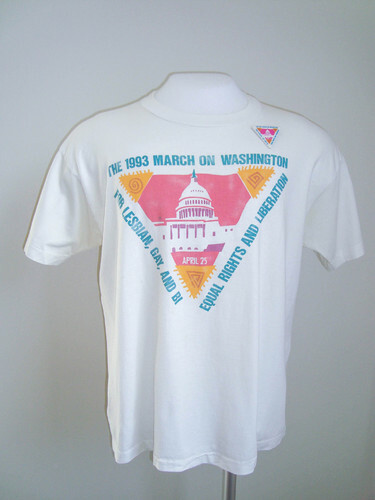 MOW '93" [National Gay and Lesbian Task Force, March on Washington] with drawing of the U.S. Capitol building inside a leather jacket. 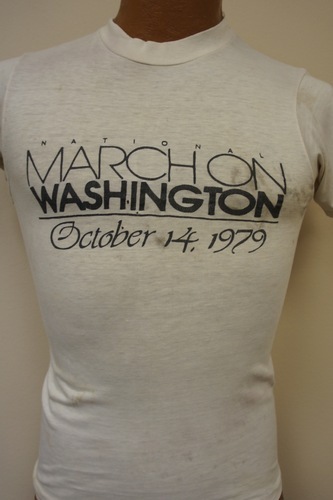 "National March on Washington October 14, 1979"